Thailand is in the process of establishing a Measurement, Reporting and Verification (MRV) system for national climate reporting. The Office of Natural Resources and Environmental Policy and Planning (ONEP), under the Ministry of Natural Resources and Environment (MNRE), is leading this task, together with key sectoral ministries and agencies, with GIZ support. In the so-called Nationally Determined Contribution (NDC), national targets to reduce greenhouse gas (GHG) emissions and increase resilience, Thailand committed to reducing 20-25% of emissions from the energy, transport, waste and industry sectors by 2030 below business as usual. To monitor progress of the implemented policies for mitigation and adaptation, a strong institutional MRV system is needed. In principle, Thailand already has a functioning system to measure, report and verify (MRV) emissions on economic activities where the collected data contributes to regular reporting on greenhouse gases, mitigation impacts as well as the needed support. However, to be fit for upcoming international requirements from the climate negotiations, ONEP and GIZ are working together to strengthen the existing MRV system. 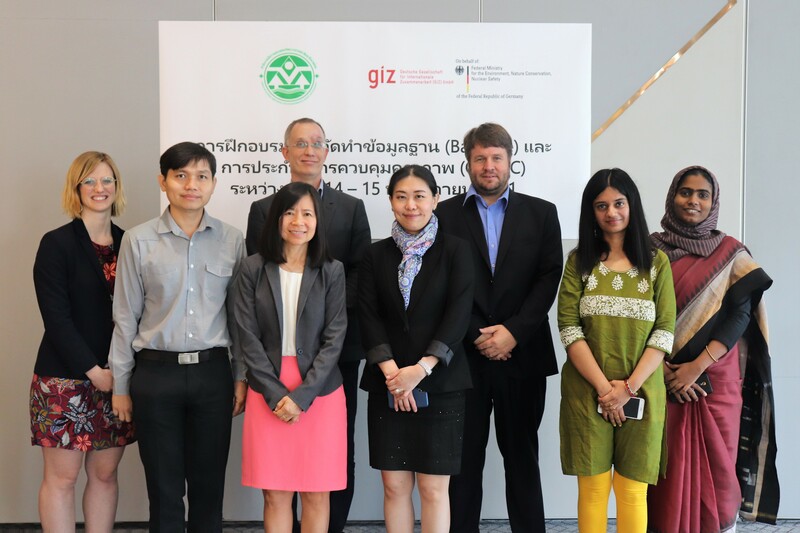 The Thai-German Climate Programme (TGCP) brings in expertise to set up a solid MRV architecture as required by the United Nations Framework Convention on Climate Change (UNFCCC). The focus is on getting higher quality of data, defining clear roles and channels for reporting, and using credible methods for monitoring. To achieve this, a kick-off workshop with key sector stakeholders was held and followed by a Focus Group Discussion series for agriculture, energy, transport, waste and water sectors. The aims were to identify gaps and overcome these gaps as well as gain knowledge on baselines and their development as well as the principles of QA/QC. Over 40 participants exchanged ideas for improvements with support of international experts. The mission was completed by a Baseline and QA/QC training on 14 and 15 November 2018. 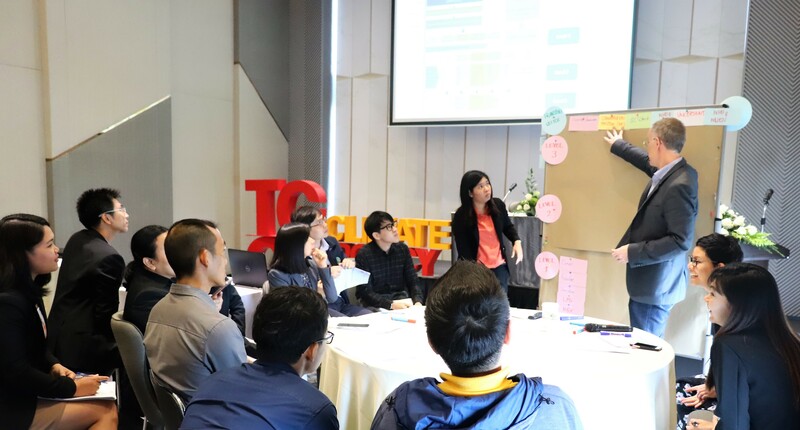 Dr. Natthanich Asvapoositkul, Environmental Expert, ONEP, highlighted the importance of these step-by-step improvements for policy planning and implementing the Thai NDC. She also stressed how sector-level actors are crucial for steering this process. Ms. Angkana Chalermpong, Senior Policy Advisor from GIZ, pointed out the cross-cutting nature of Monitoring and Evaluation and MRV which required collaboration across Thai government agencies for improving the data quality within the main mitigation sectors. GIZ is willing to support ONEP to guide the lead sectors and agencies ahead of the upcoming reporting requirements under the international climate negotiations. Besides accounting and reporting, MRV system is also about informing policymakers, and stakeholders if the applied measures are effective. It provides insights whether current efforts need to be stepped up to meet the desired outcomes. The team of TGCP is working to ensure that Thailand will have an adequate MRV system which fulfils the UNFCCC reporting requirements by the year 2021.